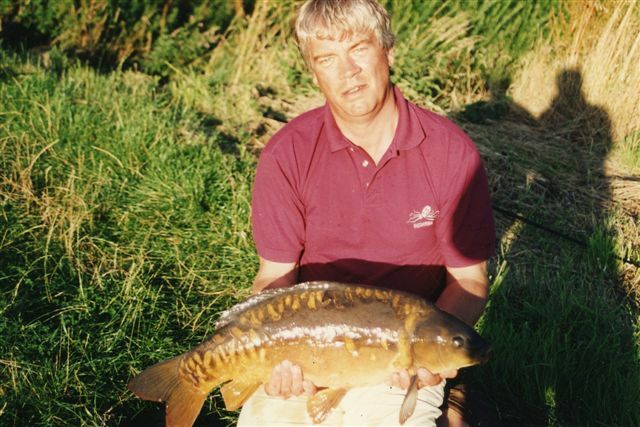 I quickly learnt how to find where the fish were and concentrated on fishing for Tench and Wild Carp. 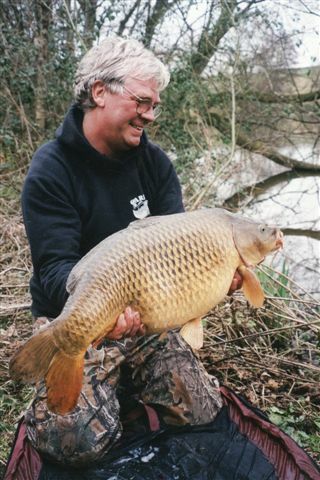 I was always amazed how powerful these fish were when hooked and I was allowed to go fishing every Sunday to a beautiful area in Kent named Edenbridge. I would catch the first train at 5 a.m. and would be the first at the side of the bank at 6 a.m. 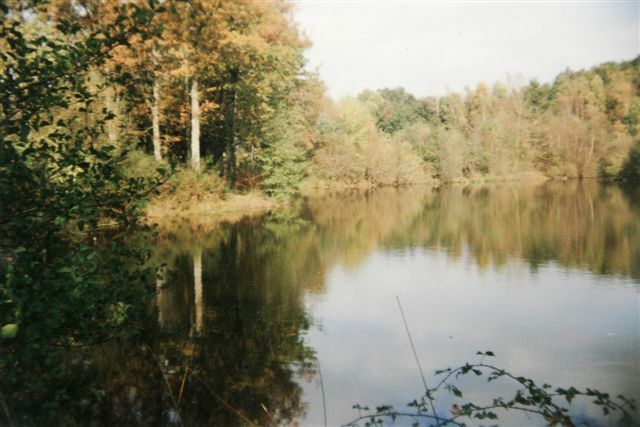 I would try many different baits and tactics and soon became very good at close range fishing and Stalking under and around bushes and snaggy areas where I seemed to find larger fish. And played in Pro Am competitions and some of the smaller Tournaments. I was quite good but to really improve I needed to get sponsorship to play in America where I needed to learn some of their techniques. But I was let down at the last minute with the sponsorship and so decided to pack it all in and I went to work in the City of London at a friend Father’s insurance company. 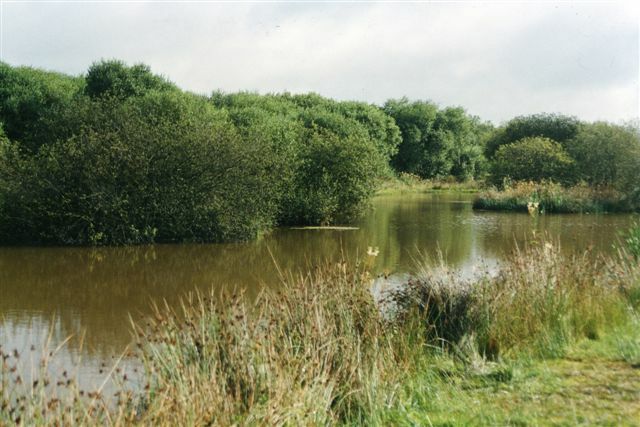 I started fishing again for Carp and Tench for a few years then once again started to play Golf again and played for my local club and eventually Kent County. 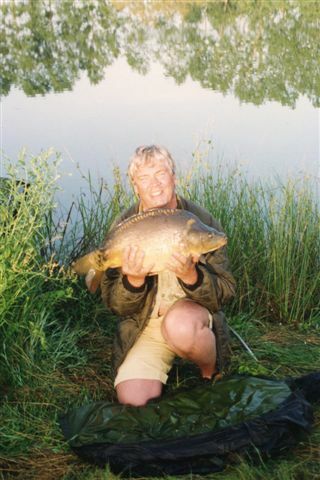 In the mid 80s I badly damaged my left ankle which seriously affected my golf so I eventually stopped and for relaxation went back to my beloved Carp fishing. 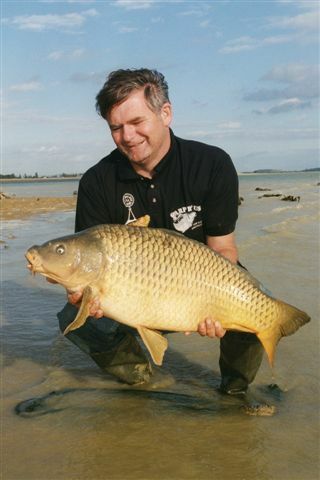 I found that not only had carp fishing become more popular but the methods had changed. They were now using braided hooklinks instead of mono and hair rigs I felt that I needed to learn more about this new strategy and needed advice. I became friendly with a local owner of a Specialist carp shop named Keith Selleck who unbeknown to meat the time was a highly respected Carp Angler . By chance I found a hollow centered sinking braid which was able to be spliced with a needle. Splicing braid was stronger than knotting it. This braid was found to be very popular with Keith Selleck an his customers so I went into partnership with him and his shop partner and formed a company called KESMARK we called the braid OCTOSPLICE because it was woven using eight strands and was perfectly round. I think we were the first people to splice a hooklink for carp fishing and splicing method is now an accepted method of attachment. I found myself designing more products for Kesmark until sadly Keith was drowned in a boating accident unfortunately it became difficult to continue expanding. So I resigned. It was at that time I met Frank Warwick who had just invented a new style of hook. Frank had a small tackle shop near Manchester and he was the big name in that area. We soon became great friends and it was Frank who was responsible for me to go it alone with a new company he said that he had a great name for it CARP´R´US and he gave to me a pen and ink drawing of a fish he had caught in France and that has been my logo ever since. During my time with Kesmark I had travelled to many countries in Europe and met many respected anglers and I soon discovered that their were many things missing in Carp fishing and products that were needed so I went about designing new hook patterns and I asked Frank if I could develop his Cranked Hook, he agreed and it was marketed. Unfortunately it was made by a company in England but proved not to be of a high enough standard so I withdrew it from the market and had it re made in Japan where all my hooks are made. Japan makes the best steel wire in the world and their hooks are expensive but the best. I am fortunate to have two private manufacturers who are without doubt the best there is and one of them make the Cranked hook in the 12 years its been on the market I have never had one break or open out. And I am very proud of this hook. One other hook I helped design was the Famous LONG SHANK NAILER, this hook pattern was created by a guy named RUSSELL COSSEY together we tested it for 18 months making slight alterations until we found the perfect shape. I then went to Japan and had it made to an exact specification the steel process is like no other hook on the market. 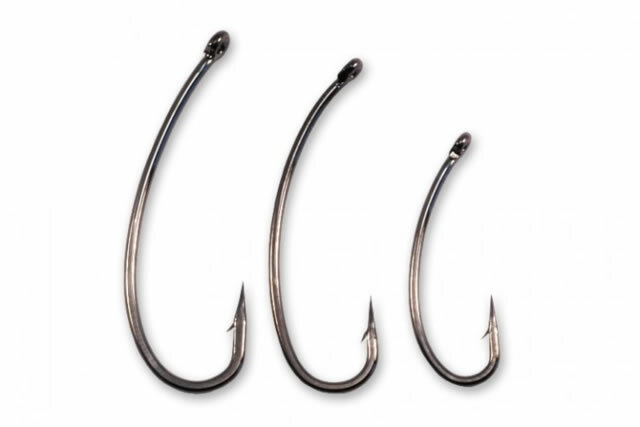 Sadly this hook pattern it has now been copied by a few competitors but none of them have got it right .some have down eyes which can cause mouth damage on this type of long shanked hook. Nd all have got the tempering strength wrong. 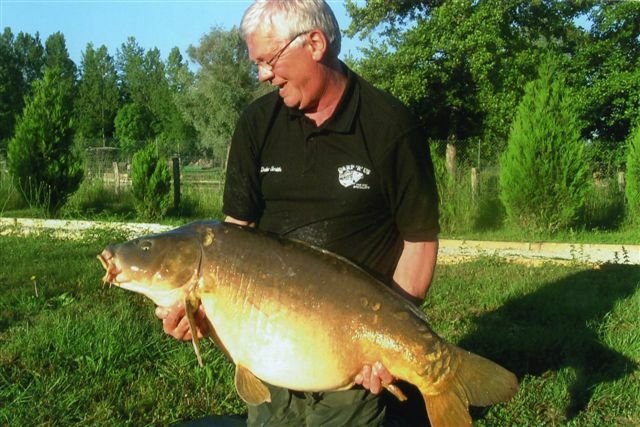 This hook has accounted for some of the largest carp in the world and is still used by the majority of the famous names Tim Paisley Kevin Maddocks Dave Moore and many more. All of the Carp r Us hook range have straight points for instant pricking of the mouth and a curved shank or a down eye to aid strong hookholds. When I look back I am actually surprised of how many products I have designed during the last 17 years sadly many have been copied by other companies I suppose I should be flattered but truly it annoys me when companies need to copy other people. I have never copied any one and I never will, I believe that if someone puts in the hard work of designing and producing something why should he be copied by these parasites. Strolling down memory lane here is a list of my invented products the (C) by the side means its been copied. (C) FUSED RIG SYSTEM (The Chinese copies failed as they kept splitting). All Carp `R`Us products are extensively tested by our world wide field testers for many months and if the majority agree then we produce it. I am always playing around with ideas but I think my best ever has been the Mouthsnagger it has been responsible for some massive fish especially on hard waters like Rainbow in France and it is so easy to use and a superior replacement for shrinktube on the hook. Soon we will have 2 more additions a totally transparent one to imitate water snail eggs and a black one to imitate a leech. 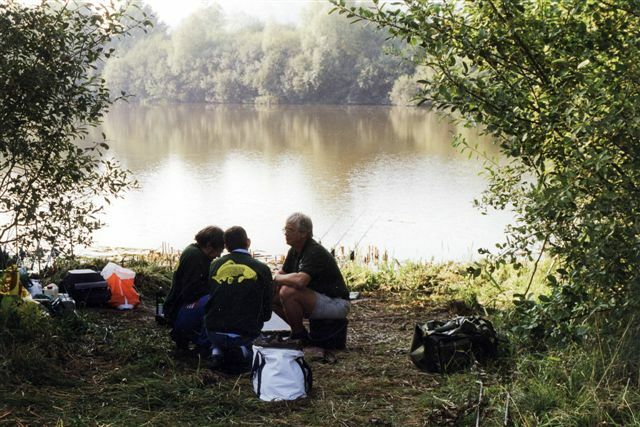 I get great pleasure trying to help other anglers and I am often approached by anglers when I am fishing long session to show them some rigs, but it is all part of the whole scene. I was thankful to Keith Selleck and Frank Warwick for all their help in the early days so it is only right I do the same. Maybe I will see you on the bank some day or at a show.